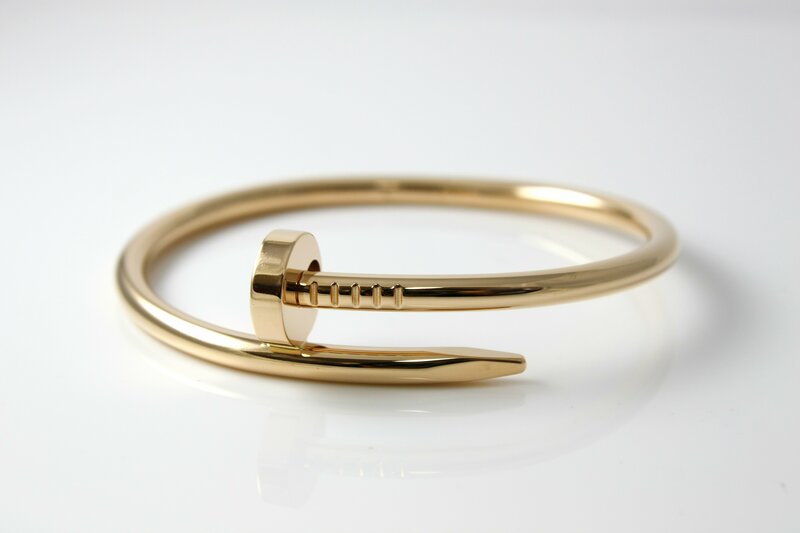 This is a beautiful 100% authentic Cartier Juste un Clou bracelet in 18k rose gold and is a size 15. The bracelet is in fantastic condition and has been professionally cleaned and polished for a like new look. The bracelet is complete with its original inner box, outer box, protective pouch, and paperwork from Cartier – South Coast Plaza. 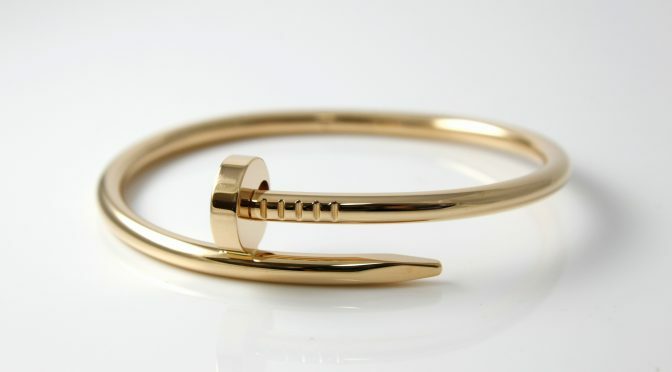 This Cartier Juste un Clou Nail bracelet retails for $6,800.